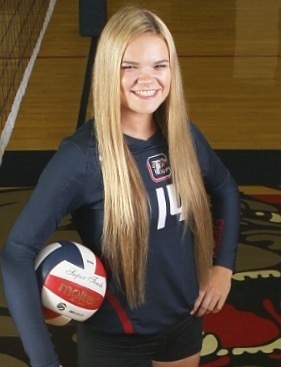 Coronado senior setter Cali Thompson was named to the Under Armour Girls High School All-America third team by the American Volleyball Coaches Association. Thompson, who has committed to play at Portland, was the only Nevada player honored by the AVCA. She was one of 24 players selected to the third team. Thompson and the Cougars play Green Valley at 5 p.m. Thursday in the Sunrise Region semifinals at Foothill. Coronado is seeking its third consecutive Division I state title.